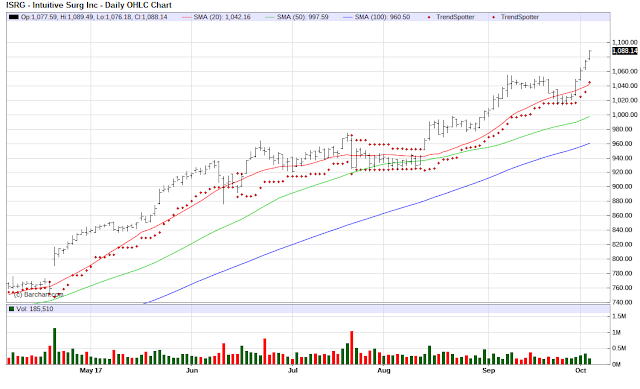 The Chart of the Day belongs to Intuitive Surgical (ISRG). I found the surgical equipment company by using Barchart to sort the Russell 3000 Index stocks closest to the 52 week highs, then again for technical buy signals of 80% or more. 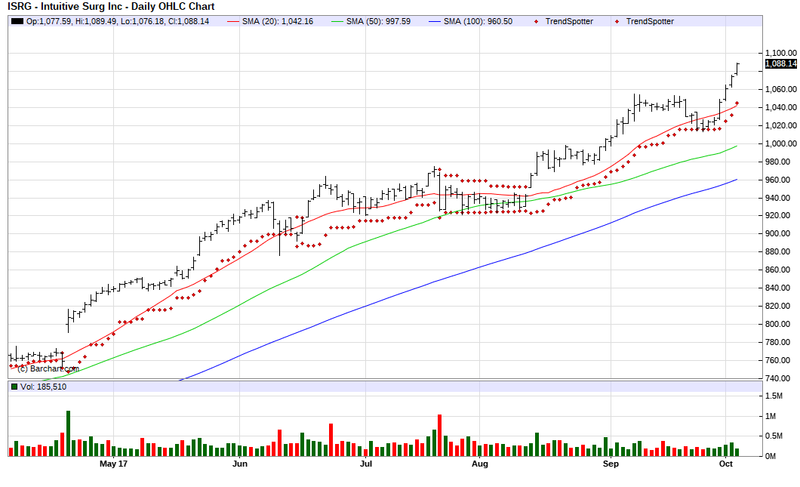 Since the Trend Spotter signaled a buy in 8/14 the stock gained 12.79%. Intuitive Surgical, Inc. designs and manufactures the da Vinci Surgical System. The da Vinci Surgical System seamlessly translates the surgeon's natural hand movements on instrument controls at a console into corresponding micromovements of instruments positioned inside the patient through small puncture incisions, or ports. The products provide the surgeon with the range of motion and fine tissue control previously possible only with open surgery, while simultaneously allowing the surgeon to work through small ports.